1 Queen Bed & 2 Singles. Tariff for 2 persons.Extra person $10 per stay to cover additional linen. (pay directly to Manager). Studio suitable for 2 Adults and 2 small child. Toilet in ensuite off main bedroom. Great Apartment for short stopover. Suitable 2 Adults 2 Children.Fridge/Microwave/Electric Fry Pan. Limited Cooking. Porta Cot free. 2 Bedroom, 2 Bathrooms with SPA.Great location easy walk to town centre.Off Street Parking. Linen included. 2 Bedroom, 2 Bathrooms plus SPA. Apartments built 2004 equal to any in Merimbula. Great tranquil outlook. Facing East with two windows facing North. Linen included. Air Conditioning.Off Street Parking.Private Balcony. Apartment built 2004 overlooking Merimbula Back Lake. Modern facilities. Linen included. Off-Street Parking. Air Conditioning. Modern Ground Floor Apartment built 2004 in quiet location. Laundry.Linen included. Off-Street Parking.Solar Heated Pool. No steps to or in Apartment. Suitable for Prams and the elderly. Main Bathroom includes a two person SPA. Facing East with two windows facing North. Enjoy the Sunshine. 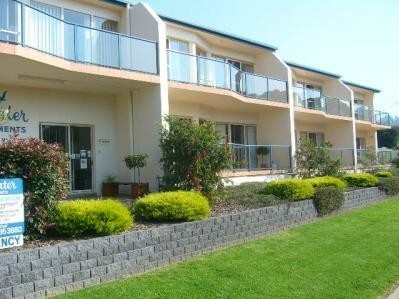 Spacious Apartment built 2004 with view over Merimbula Back Lake. Quiet location and only 650m approx. to RSL/Information Centre.Linen included. Off-Street Parking.Solar Heated Pool.